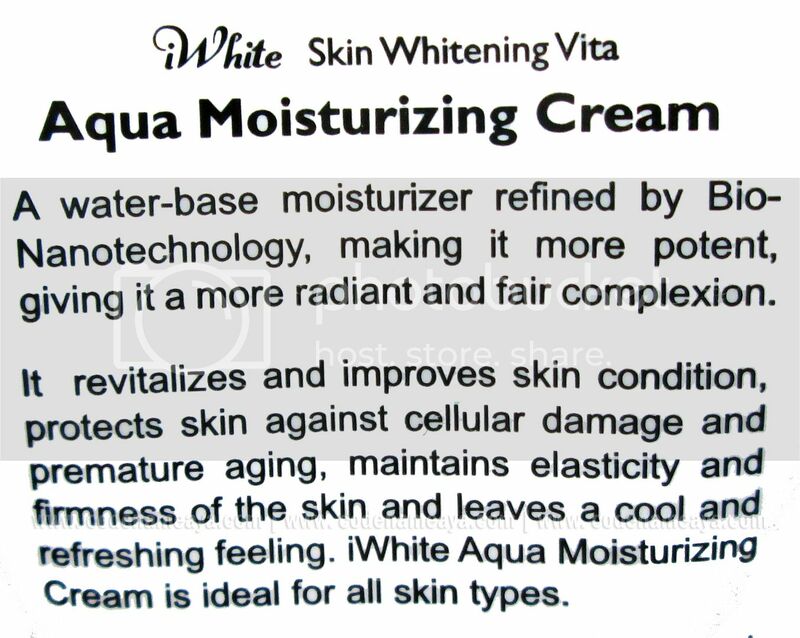 ...the iWhite Korea Aqua Moistruzing Cream. I've known about the brand iWhite for years now. The first iWhite product I bought was their nose pack. It's so affordable and it worked well too so I included it in my skin care routine. Their products only came in sachets then but shortly after that, iWhite released their products in tube packaging as well. 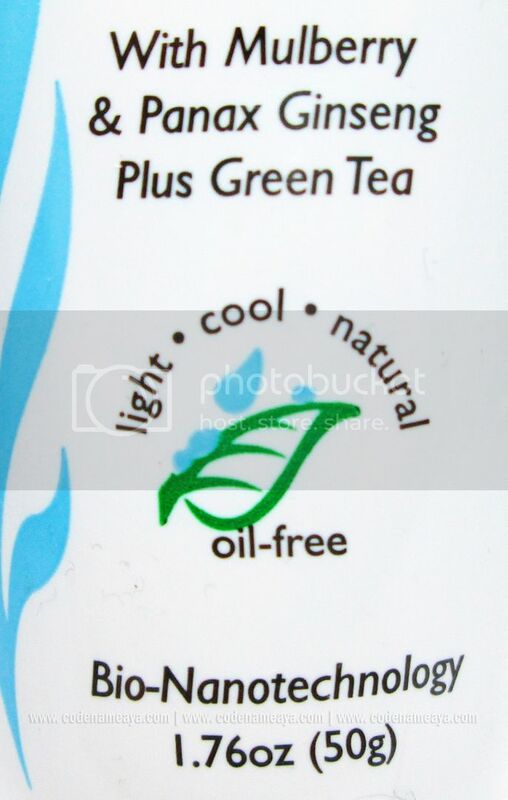 Oil-free moisturizer, perfect for my oily skin. Directions for use: Apply it on a cleansed face. Can be applied with iWhite Facial Cream. For best results, use twice a day. The packaging is as simple as it can get. The product comes in a squeeze-type tube like all other moisturizers I've tried. I have no major complaints with the packaging. The product has great texture, in my opinion. 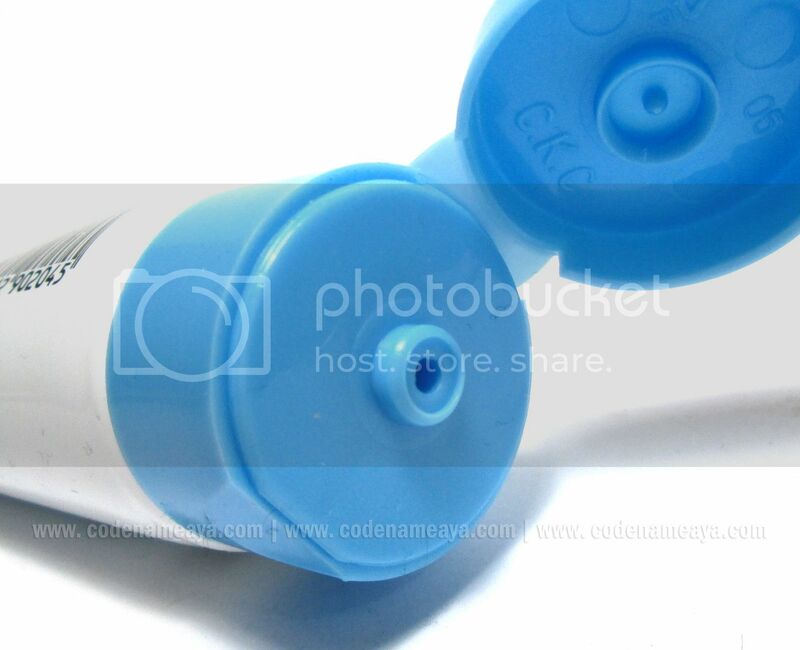 It has a gel-like consistency, and it's very easy to spread and apply onto the skin. 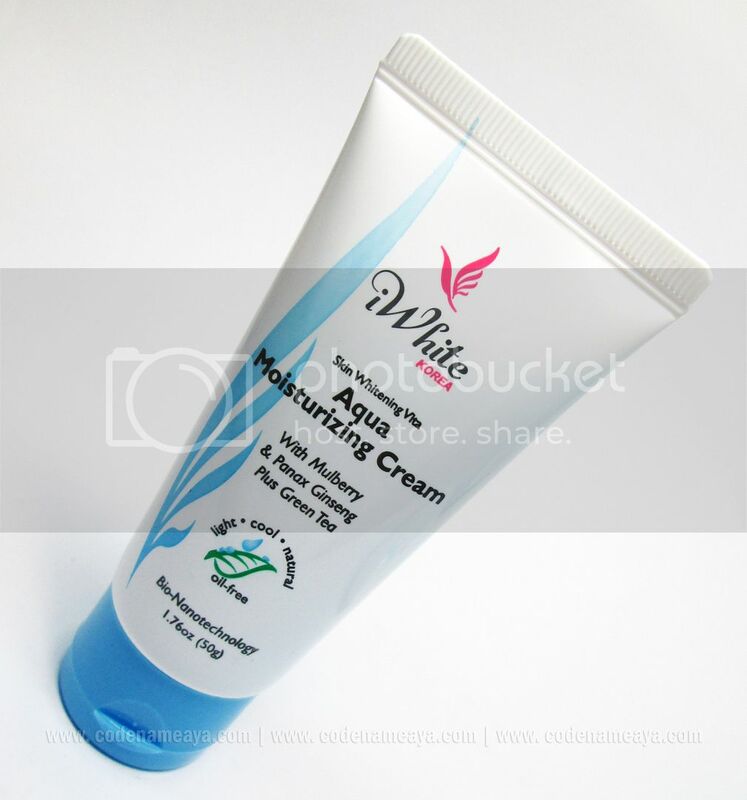 It doesn't feel oily (as expected from a water-based moisturizer), and it is not runny at all. It has a subtle scent that is just ok for me - it doesn't smell bad but I wouldn't exactly consider it fragrant. This moisturizer smells exactly like the iWhite nose pack. A little goes a long way with this. The amount of product in the photo above is already a bit too much for my whole face. 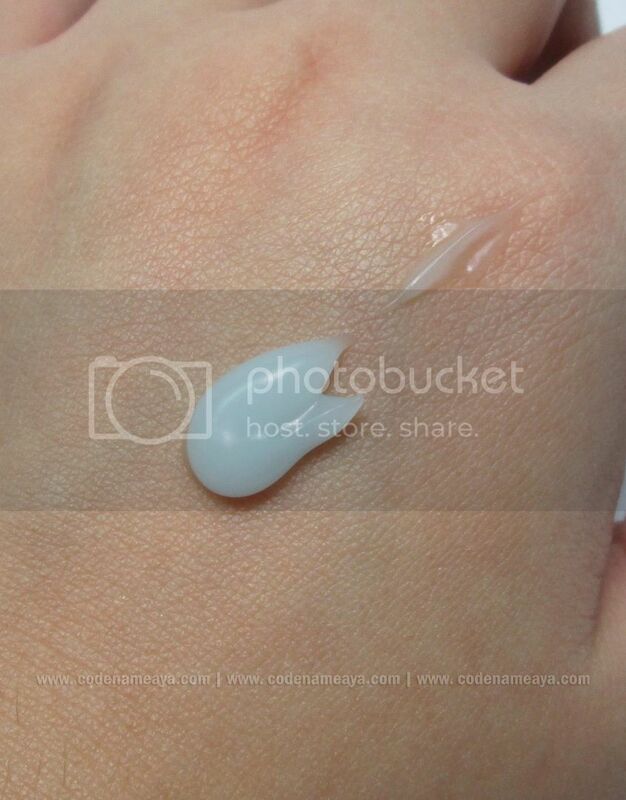 The cool thing about this moisturizer happens when you start spreading it onto the skin. Upon blending, tiny droplets of the product appear, as if I've just wet my skin with water. Cool, right? 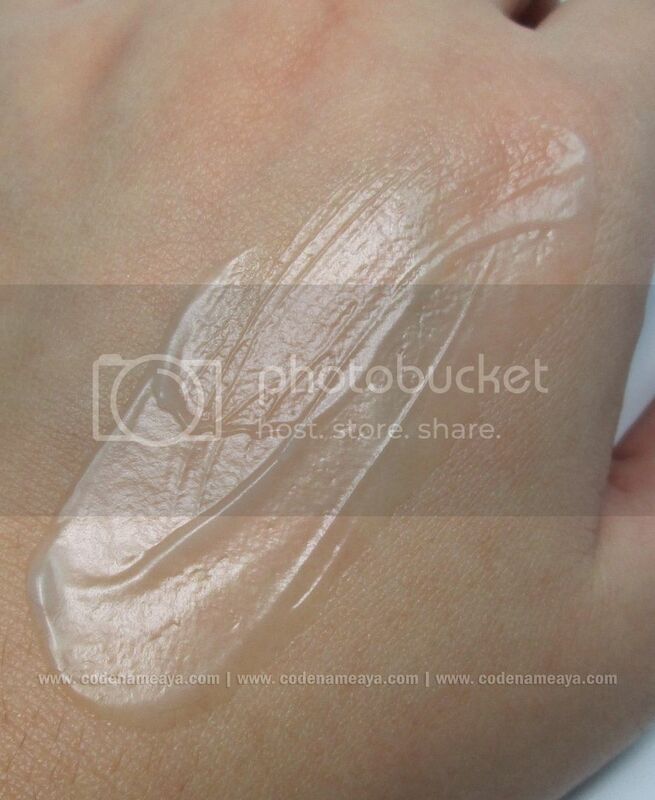 And once fully blended, there will be no trace of product on the skin - no sticky or greasy feeling. It feels a bit refreshing on the skin like it has a subtle cooling effect. It feels very light as well, which is good! My skin always feels soft and smooth after I apply this product. I've been using this for about a month now, and it does a great job in moisturizing, as far as my skin is concerned! But please note that I have oily skin. The effects might be different for those with dry skin. Also, I haven't used this product enough to notice any drastic whitening effect, but I don't mind as whitening isn't one my current major skin concerns. Affordable - Priced at P169 for 50g of product (tube), P20 for 6g (sachet) although it's more expensive than the other moisturizers I've tried. I have been using this for almost a week na rin and I am loving it! Great review Aya! Dry ba skin mo? This one's ok naman :D You want to try? I have extra, yung napanalunan ko sa giveaway! This seems like a pretty good product! Do you think that it would be good for sensitive skin? I'm using this too :) this does the job well.. tapos affordable and easy to find naman :) For reference, I have normal to dry skin type. I think it would! :) Thanks, dear! hi AYA its great coz i read your review. buti na lang shinare nh iWhite :) anyway i'm using the product of iwhite i start from nose pack then i try the facial pack tapos ngaun gumagamit na din ako ng facial wash saka facial cream.very affordable saka kahit sachet lang more than one week ko nagagamit kaya sulit.. eto na lang ang kulang sakanila hehe pati yung soap. pag nakakaputi yung review mo sa soap bibili ako hehehe..morena kasi ako hehe :) pano ba ito gamitin?after maligo or bago matulog?binababad ba sa face?ikaw paano mo xa gamitin? i tried na this prod..di ko na maantay maging winner kaya i bought on the sachet hehehe ..PEACE!! !super gaan and sarap sa feeling :) love it.. napansin ko lang lahat sila pare parehas ng amoy mula sa nose and face mask,facial cream,facial wash, and moisturizer..same ang amoy..
san po ginagamit to sa face ba?